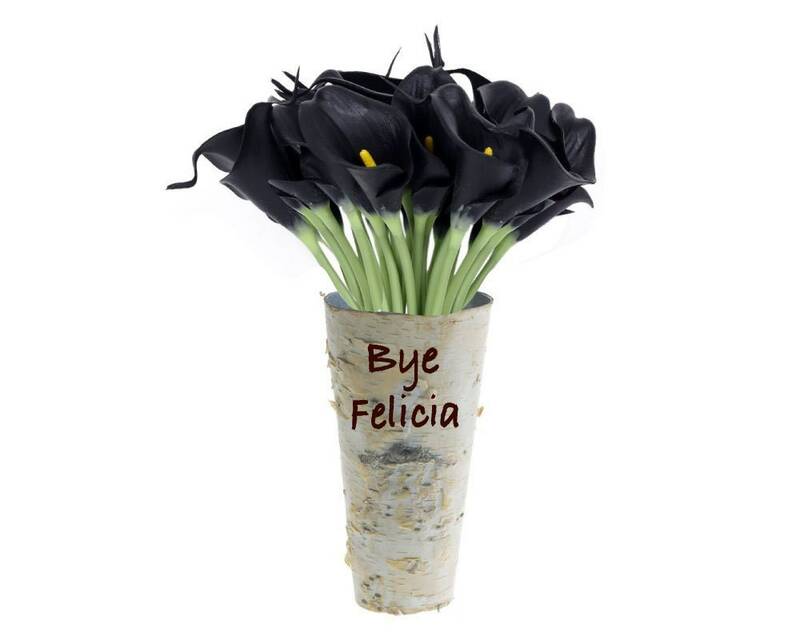 Tell 'em goodbye with this funny vase. 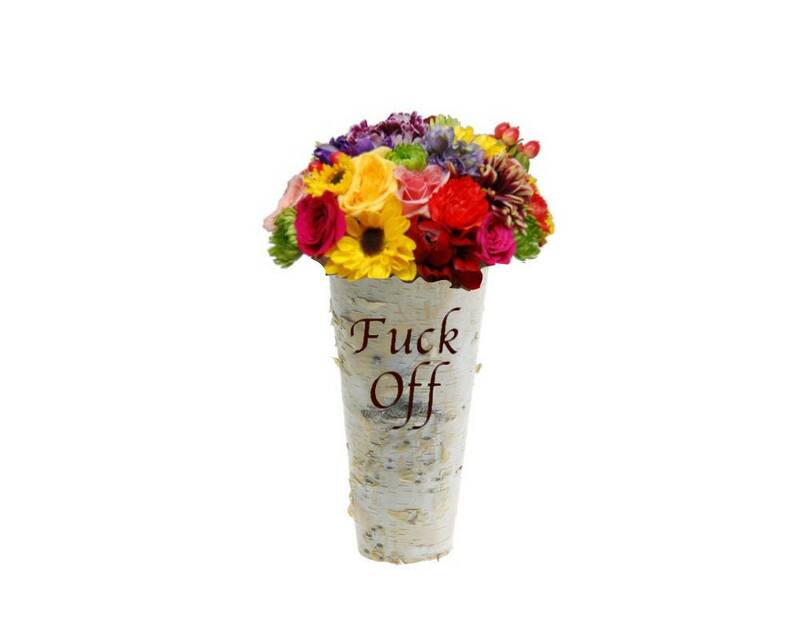 Make your statement even louder with a bouquet of dead flowers! 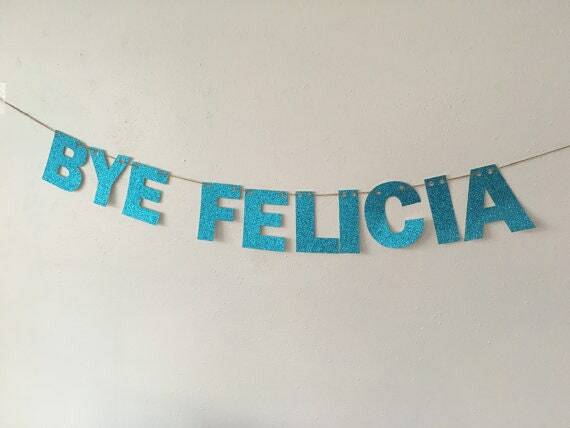 Since these are handmade- no two are alike and the burnt letters will be slightly different. 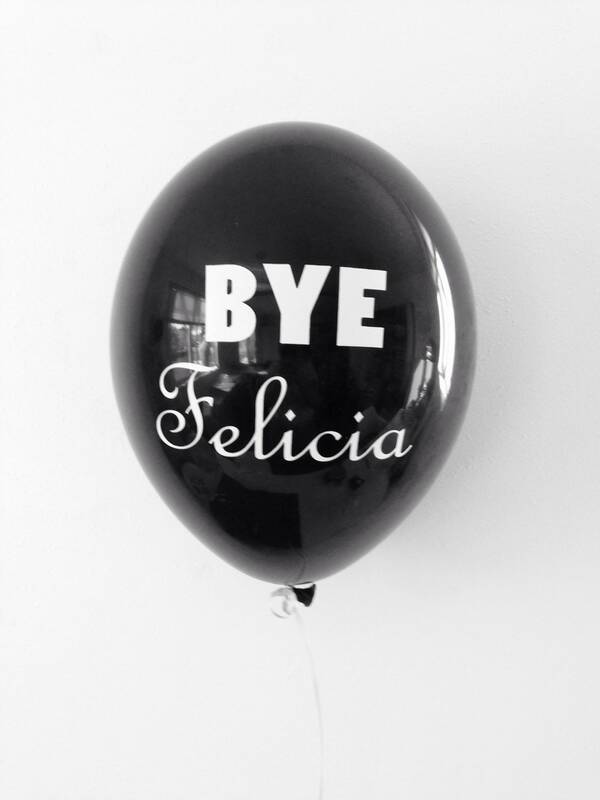 I also have the balloons and banner available on my site. Measuring 9" tall and 4.75" diameter at the top and 2.75" at the bottom, this vase has a metal liner. 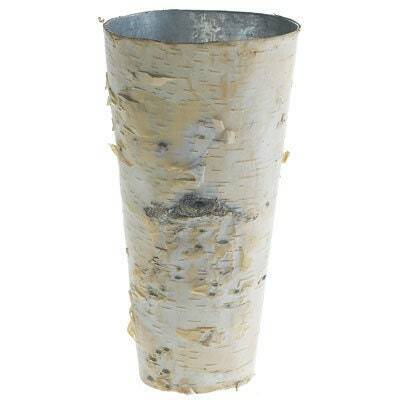 The birch color can vary from light to dark. There are seams on the sides which is how the birch is farmed and then cut to be wrapped on the case. The metal vase interior can be seen on the top of the vase. Colors vary from light to dark as the wood varies. 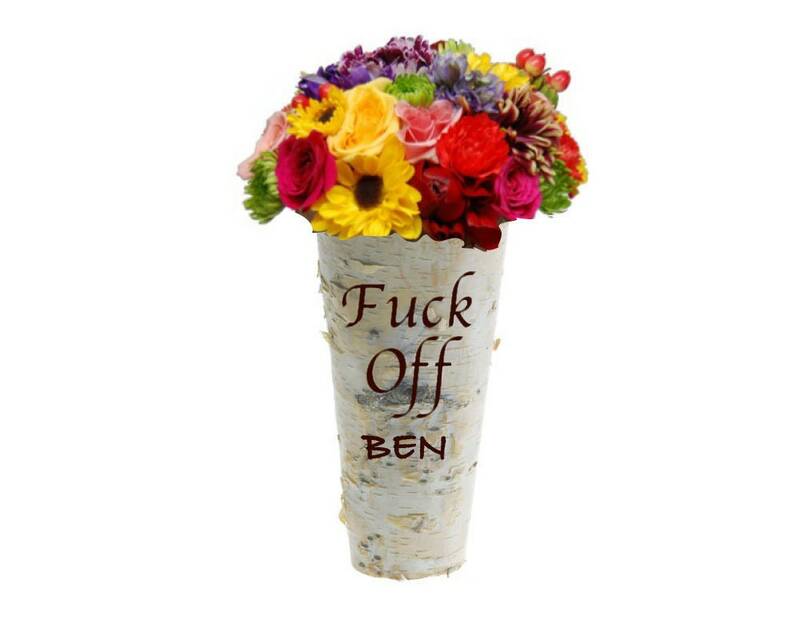 Perfect to hold flowers, sticks, branches or anything tall.